The bill would ban the sale of imported goods from occupied areas. In particular, goods from the Israeli settlements in Palestine would be banned. 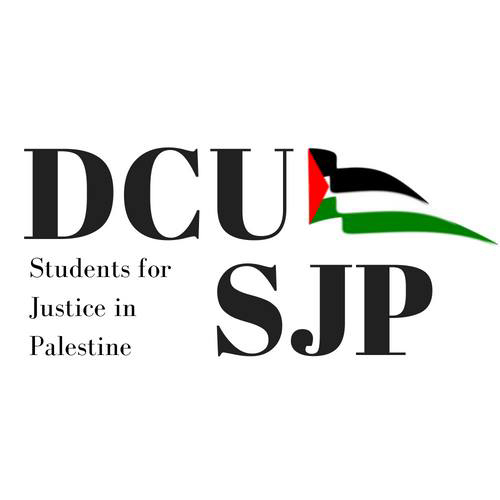 Stephanie O’Toole, chair of DCU’s Solidarity for Justice in Palestine (SJP) wasn’t hopeful about the bill passing. “I don’t think we should pin too much hope on Michael D Higgins actually signing this into law,” she said. She explained how the Government could use the “money message” to stall the legislation and prevent it from going to its next stage. The Irish Jewish Community are not expecting the bill to pass either. They said that ex-Minister of Justice and Minister of Defense Alan Shatter explained their point of view succinctly. Shatter wrote an op-ed column for the Jerusalem Post opposing the bill on January 29th. He said the bill had a “hidden agenda” to return the Golan to Syria. O’Toole disagreed, and said the bill was Ireland sending a message that it will come down on territories deemed illegal under international law. “This bill wouldn’t only send a message to Israel – it would also send it to other states that illegally annex territory”, she said. Last semester, the SJP launched a referendum campaign to have the Student Union (SU) support the Boycott, Divestment and Sanction movement. If the bill was to pass, the SU would have to boycott goods from Israeli settlements in Palestine, regardless of whether the referendum is a success. However, O’Toole believed that the referendum should go ahead anyway, as it would still send a message of solidarity and keep DCU in line with other colleges like Trinity. She added that it was ridiculous to suggest the bill was anti-Semitic. “What would be anti-Semitic would be to equate the Jewish people with the state of Israel,” she said. According to the Irish Times, Israel’s ambassador to Ireland – Ophir Kariv – warned that it would make Ireland “the most extreme anti-Israel country in the western world and entrench it deeply on the wrong side of history”. The bill was first tabled by Independent Senator Frances Black in the Seanad, who was happy to see it pass the second stage. “By trading in settlement goods, we are helping to sustain this injustice. How can we condemn these settlements as illegal, as theft of land and resources, but happily trade in the proceeds of this crime?” she said.